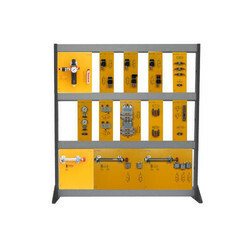 Prominent & Leading Manufacturer from Jaipur, we offer plc machine, pneumatic industrial automation sysrem, interactive systems, process control industrial automation sysrem, hydraulics systems and simulators instrument. 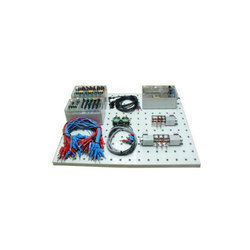 The automation is the use of control systems to control industrial systems and processes and PLC Machine play a fundamental role in this field. For this reason the automation laboratory begins from the study of the PLC, to allow students the acquisition and the analysis of the techniques related to their programming and their use in control technology, then continues with the presentation of all applications, with the theme of process control and ends with systems for the study of pneumatic, electro-pneumatics, Hydraulics and dell'electro-Hydraulics. Dimensions 40(L) x 40(W) x 60 (H) cm. 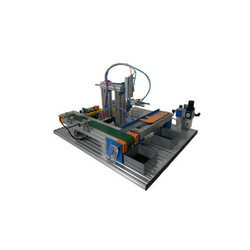 Pneumatics is the use of control systems to control industrial systems and processes and PLC play a fundamental role in this field. For this reason the automation laboratory begins from the study of the PLC, to allow students the acquisition and the analysis of the techniques related to their programming and their use in control technology, then continues with the presentation of all applications, with the theme of process control and ends with systems for the study of pneumatic, electro-pneumatics, Hydraulics and dell'electro-Hydraulics. Size 512(W) x 297(L) x 100(H) mm. Interactive Systems is the use of control systems to control industrial systems and processes and PLC play a fundamental role in this field. The automation is the use of control systems to control industrial systems and processes and PLC play a fundamental role in this field. Process Control the automation laboratory begins from the study of the PLC, to allow students the acquisition and the analysis of the techniques related to their programming and their use in control technology, then continues with the presentation of all applications, with the theme of process control and ends with systems for the study of pneumatic, electro-pneumatics, Hydraulics and dell'electro-Hydraulics. 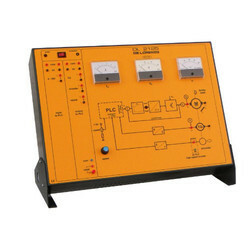 The automation is the use of control systems to control industrial systems and processes and PLC play a fundamental role in this field For this reason the automation laboratory begins from the study of the PLC, to allow students the acquisition and the analysis of the techniques related to their programming and their use in control technology, then continues with the presentation of all applications, with the theme of process control and ends with systems for the study of pneumatic, electro-pneumatics, Hydraulics and dell'electro-Hydraulics. 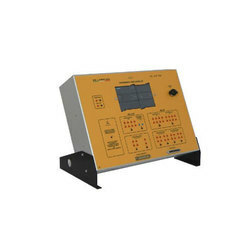 Simulators Instrument is the use of control systems to control industrial systems and processes and PLC play a fundamental role in this field. For this reason the automation laboratory begins from the study of the PLC, to allow students the acquisition and the analysis of the techniques related to their programming and their use in control technology, then continues with the presentation of all applications, with the theme of process control and ends with systems for the study of pneumatic, electro-pneumatics, Hydraulics and dell'electro-Hydraulics. Tachometric Signal 180 V at 3000 rpm. Power 48 Vdc, 5 A. Electric Controls is the use of control systems to control industrial systems and processes and PLC play a fundamental role in this field. 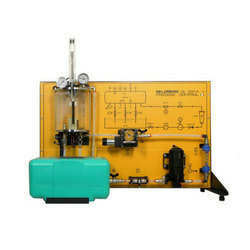 For this reason the automation laboratory begins from the study of the PLC, to allow students the acquisition and the analysis of the techniques related to their programming and their use in control technology, then continues with the presentation of all applications, with the theme of process control and ends with systems for the study of pneumatic, electro-pneumatics, Hydraulics and dell'electro-Hydraulics. Computer-Integrated Manufacturing (CIM) is a method of manufacturing in which the entire production process is controlled by computer.De Lorenzo's CIM system is composed of different modules, each one reproducing a single basic application that is commonly used in the industry.Each module is implemented with real electronics, mechanics and pneumatics components and has a specific function.The whole system is controlled by one Programmable Logic Controller (PLC) and it can be configured to perform a complete process. 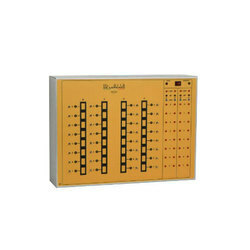 Looking for Automation System ?